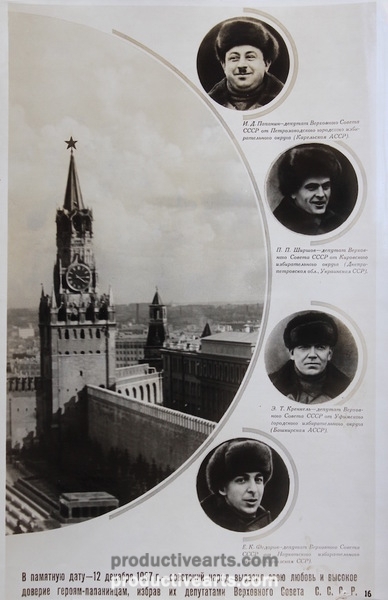 [Rodchenko, A., Stepanova, V.] A Heroic Feat Worthy of the Stalin Era. 1938. Podvig, dostoinyi Stalinskoi epokhi. Original portfolio box, title page/map and 41 numbered plates of photos and photomontage. 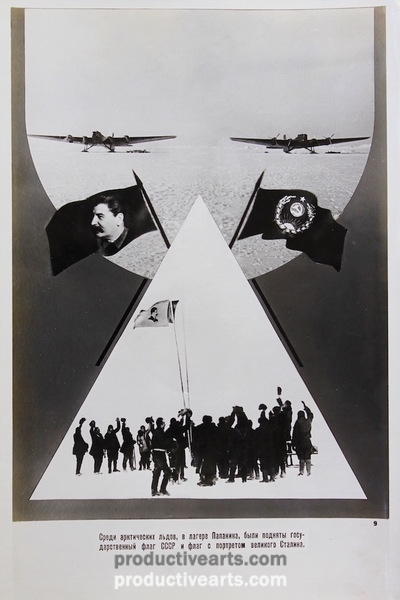 Design and layout by Rodchenko and Stepanova. 8” x 12”. Soiuz Foto – Foto khudozhnik. Moscow. 1938. 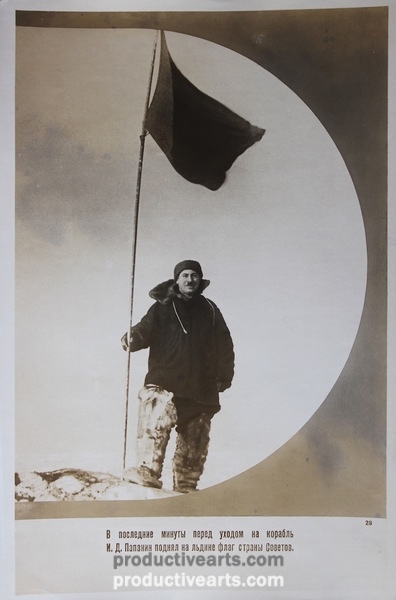 On May 21, 1937, the first SP-1 science and research expedition started working at the Polar Drifting Station, which was later renamed the North Pole (SP)-1 Station. 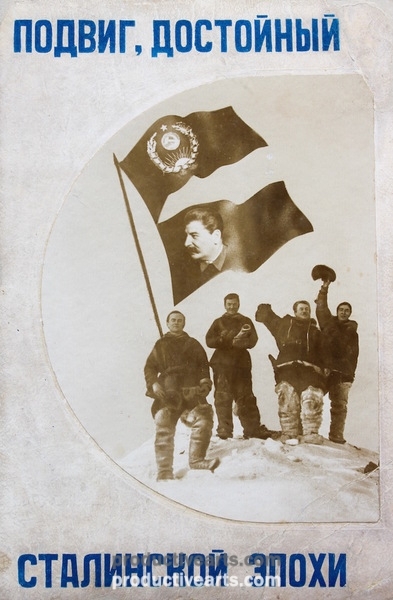 In February 1936, the Politburo of the Central Committee of the All-Union Communist Party (Bolsheviks) decided to establish a drifting Arctic research station. The SP-1 drifting station was officially opened on June 6, 1937.